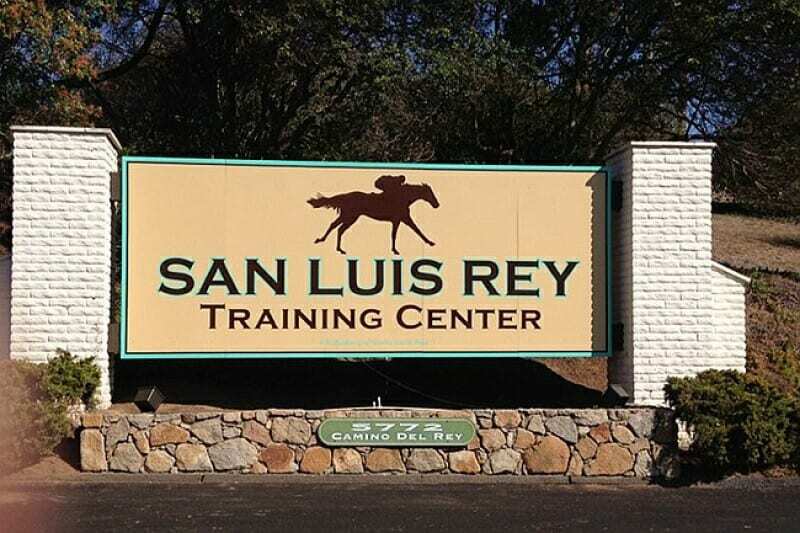 The National Thoroughbred Racing Association (NTRA) today announced that the Dec. 7 tragedy of the Lilac Fire that devastated the San Luis Rey Training Center in Bonsall, Calif., near San Diego, claiming the lives of 46 Thoroughbreds, has been voted the 2017 NTRA Moment of the Year based on the results of a record 3,303 votes cast via Twitter and an online poll. Those most impacted by the wildfire, as well as the equine lives lost, will be recognized and memorialized at Thursday evening’s 47th Annual Eclipse Awards Presented by Daily Racing Form, Breeders’ Cup and The Stronach Group at Gulfstream Park in Hallandale Beach, Fla. All responders who assisted in mitigating the year’s worst racehorse-related disasters – the Lilac Fire and the hurricane that struck Puerto Rico’s Hipódromo Camarero in September – are being honored with a Special Eclipse Award. Trainer Peter Miller, who lost five horses stabled at San Luis Rey, will represent the horsemen that stayed to protect their charges. The Eclipse Awards will air live on TVG at 8 p.m. TVG is in more than 45 million homes nationwide and the ceremony also will be available via DirecTV Now, Apple TV, Amazon Fire TV, and Roku. NTRA Moment of the Year voters chose from 13 occurrences illustrating a range of human emotions as well as outstanding displays of equine athleticism. Finishing second was Arrogate’s last-to-first rally under Mike Smith to win the $10 million Dubai World Cup over Gun Runner by 2 1/4 lengths. Represented on Twitter by the hashtag #RememberSLR, the San Luis Rey tragedy garnered 843 votes, or 25.5 percent of the overall voting. Arrogate’s Dubai World Cup, #ArrogateDWC, got 536 votes (16 percent). The death of Secretariat owner Penny Chenery, #PennyRIP, was third with 360 votes (11 percent).